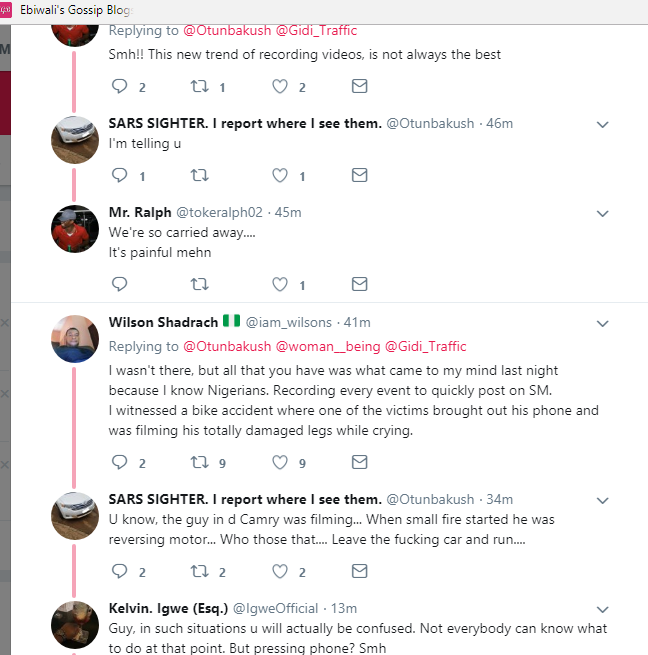 An eyewitness who was lucky to have survived the explosion on Otedola Bridge yesterday Evening, recounts his story, revealing the real cause of the explosion. 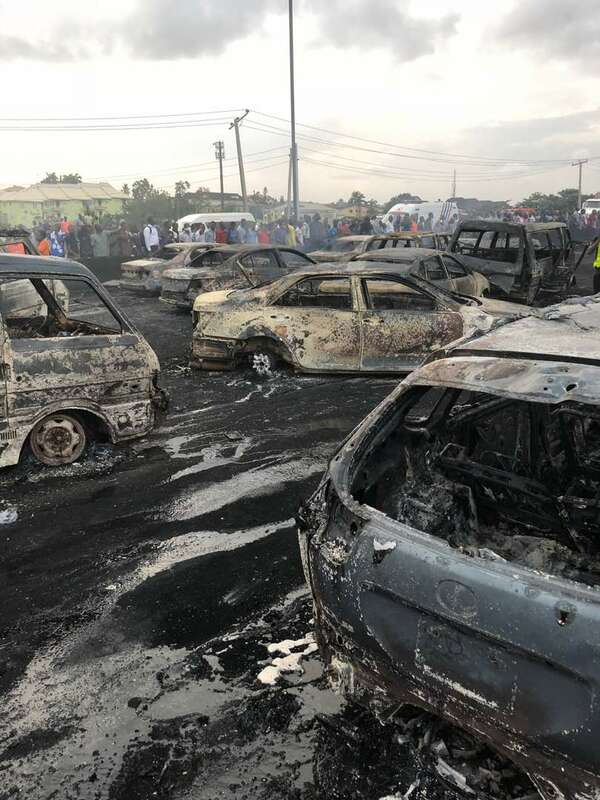 According to eye witness identified as Reporter Otunba, so many people would have survived if only they had cared more about their lives and less about their cars. 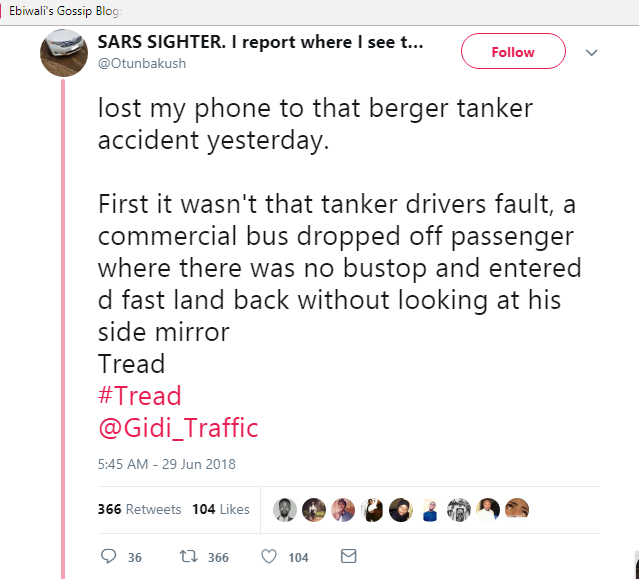 Narrating the real cause of the unfortunate incident on twitter, He said it all started after a bus driver without warning, parked where there clearly was no bus stop to pick up passengers, and the driver of the incoming fully loaded Tanker who wasn't expecting the bus driver to stop abruptly, tried dodging the bus so as not to hit it. Then the tanker driver quickly stepped on his brake but unfortunately lost control of the tanker and it crashed into the road block and fell. And that was it. 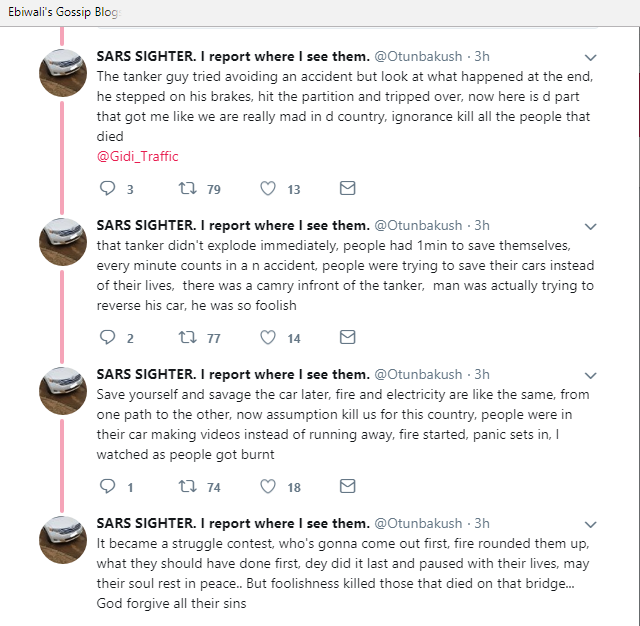 The eyewitness went on to reveal that the Tanker did not explode immediately, some of the people in the vehicle around the fallen tanker had a little moment to save their lives, but they were rooting to save their cars Instead. The posts are really interesting and interesting. I am looking for this kind of information and would love to read this book. Continue posting. Thanks for sharing.